Temptation is like slick ice on the parking lot. One careless move and you fall flat before you know it. Temptation is also like a trap door. One false step and you free-fall headlong down to the next story of sin! The circumstances and situations of temptation create a danger zone! The warning signs should be up: "Danger – Keep Out!" All of us as followers of Jesus Christ will need to face situations in which we will be tempted. How are we equipped to face and avoid the crippling effects of temptation as we follow God in our Christian walk? The passages we read introduce the topic of temptation in a clear and helpful way. In 1 Corinthians 10, the apostle Paul reflects upon some of the temptations that the ancient Israelites faced while they were on their journey. On the way from Egypt to Israel, under way to the land of hope and promise, they repeatedly faced the obstacles and barriers of temptation. Circumstances and situations in life may change, but the Christian life will continue to challenge all of God’s children to avoid temptation. The sixth petition of the Lord’s Prayer asks that God will not lead us into temptation but will, rather, deliver us from the evil one. Jesus truly understood the challenges that his followers would face. And we must understand that the quality of our Christian life will be directly related to the way that we are empowered to avoid temptation. In this message we focus first upon the link between temptation and sin. Second, we look more closely at the prayer to be delivered from temptation and evil. Know: Samson’s patterns of sin and lust led to the Spirit leaving him, taking away his strength. God later used Samson again when he cried out to God. Think: Maintain a mindset of humble obedience and dependence of God. Do: Stay in close fellowship with God by confessing sin daily and avoiding sinful patterns. D1 What were Samson’s strengths? D2 What were Samson’s weaknesses? D3 Why did God use this fellow as His judge? D4 Did Samson always love God the way he should have? 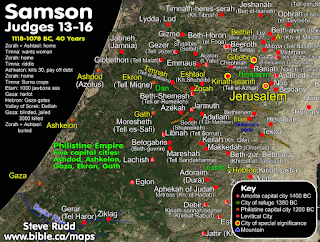 C1 Why is Samson in Gaza? C2 Samson sinned, but he was still able to lift the gates to the city with its bars and posts and carry them off to the top of a hill. Why did God still give Samson strength? 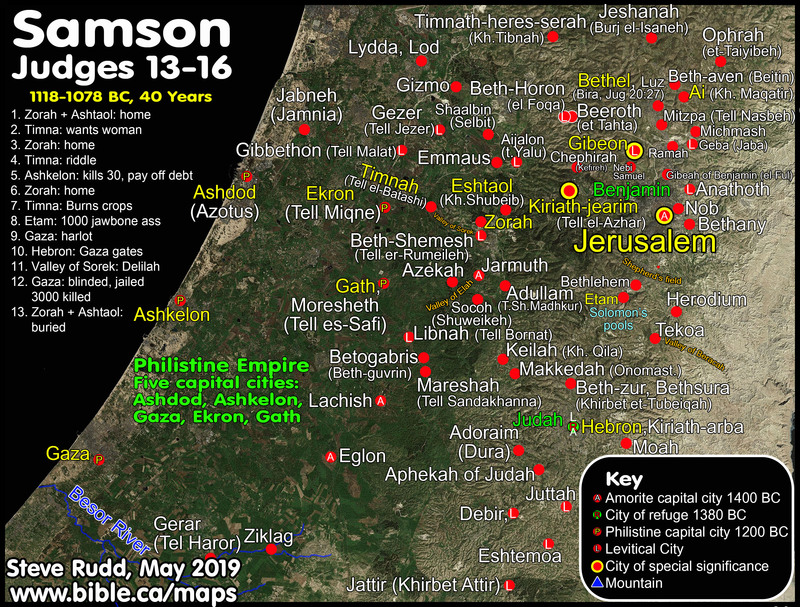 C3 A quote on Samson and the gate: The Gaza gate would have consisted of two thick doors that could be barred, and the side posts probably turned in stone sockets. Many of the ancient gates were also covered with metal or at least reinforced with metal bands. Samson pulled up the barred gate with the side posts attached and carried the whole thing off. It was as if he pulled a flower out of the ground, yet Dr. William Barrick computed the weight of the gate and posts to have been between five and ten tons (“Samson’s Removal of Gaza’s Gates,” drbarrick.org, n.d.) And Samson carried the gate to Hebron, which was 36 miles away and 3,200 feet higher in altitude! C2 1100 pieces of silver from each Philistine lord. D1 Five lords each giving 1100 pieces of silver equals 5,500 pieces of silver. D2 Thayer believes that a silver piece used to pay Judas the Betrayer was a tetradrachm. D3 A tetradrachm weighed about 0.5 troy ounces. D4 0.5 troy ounces equals 15.55 grams. D5 It is believed that one silver piece was worth about $8.24. D6 1,100 pieces of silver would be worth approximately $9,065.65. D7 The 5,500 pieces of silver would be worth about $45,328.25. C3 A withe in the culture of that day was probably a small rope made from green tree bark. The Hebrew word suggests a small rope or cord. C4 A tow would be similar to a wick or thread. C5 The new ropes would have been made from seasoned materials, not green. C6 “That he told her all his heart, and said to her, “No razor has ever come upon my head, for I [have been] a Nazirite to God from my mother’s womb. If I am shaven, then my strength will leave me, and I shall become weak, and be like any [other] man.” (Judges 16:17, NKJV). What was the source of his strength? D1 It is not long hair. D2 It is his dedication and vow as a Nazirite. D4 As long as he kept his vow, God was with him. Thus, he had to obey to have God’s blessing. C7 Why did Delilah love money more than Samson? C8 What was wrong with Samson that he could not see what she was really after? C9 How do we deal with weaknesses, our failures to stand true to God’s rules? It was a moral weakness that took Samson down to defeat. How do we stay true to God? How do we avoid sin ruining our character and testimony? C10 Why is sin so appealing to the flesh? C11 Will a little compromise lead to more compromise? C1 What is the significance of the words: But he did not know that the LORD had departed from him. (Judges 16:20, NKJV)? C3 While the Philistines were praising dagon, they were soon to find out that dagon was not able to protect them from their enemy. D1 Everyone knows there is God. D2 God shows Himself through creation. This is part of prevenient grace. D3 Truth is deliberately suppressed. This is resistance to God’s grace. D5 They resisted glorifying God and thanking God. D6 The consequences of this leads to a change in thinking (it becomes futile, that is, starting to think their unreasonable thoughts are the truth). It also leads to the heart becoming darker, that is, there is less light from God to know truth. D7 Self deception comes next, for they believe they are very wise, but in reality, they are fools. D9 This leads to God removing His grace even more, so that now they desired, lusted, for things that God disapproves of. Dishonor their bodies refers to mistreatment of our body in any way, especially sinful ways. D10 People leave God’s truths for lies, then worship and serve those lies. We are addicted to sin. D11 They turn to unnatural sin practices of all and any types in words, thoughts, desires, and deeds. D12 This has consequences and affects the body. D14 Now, it seems, there is no stopping of the flood of evil that people do. Among these are...all unrighteousness, evil, greed, and wickedness. They are full of envy, murder, quarrels, deceit, and malice. They are gossips, slanderers, God-haters, arrogant, proud, boastful, inventors of evil, disobedient to parents, undiscerning, untrustworthy, unloving, and unmerciful. (Romans 1:29-31, HCSB). They not only do them but are filled with them. D15 Finally, they are recruiters of others to do evil, even though they know the punishment of God. D1 God does not tempt. God cannot be tempted. D2 Our hearts choose to lust after something evil. This builds, sometimes for years. We are tempted to sin. D3 So then (sadly) we often decide to do evil (...desire has conceived). D5 We die. This would be our testimony, our prayer life, often our family, our____. C1 We must know what God wants. We must read and study the Bible daily. C2 We must pray for God’s deliverance and protection. So we must avoid sin. C3 If we sin, we must repent, confess, and ask forgiveness. C4 We are in this together. Pray for one another. Know: Jesus overcame temptation by knowing and applying God’s Word. Think: Have my mind so permeated by God’s Word that my natural response to temptation is to refute it with Scripture. Do: Follow Christ’s example to overcome temptation. B1 The parallel passages are Mark 1:12-15 and Luke 4:1-13. In bad sense: to get them to rebel and do evil as here and in Matthew 16:6, Matthew 22:18, etc. Fasting is always associated with prayer, self examination, and other serious religious issues. The Jew had to have a whole day of fasting from even to even on the Day of Atonement(Leviticus 16:29) and the 9th of Ab (fasting and mourning for the fall of Jerusalem to the Chaldeans(586BC) and to the Romans(70AD)http://jewishencyclopedia.com/articles/110-ab-ninth-day-of). Other days of fasts began at sunrise until the appearance of the first stars. There is nothing in the New Testament instructing Christians to fast. Why was the Lord Jesus led into the wilderness instead of being sent on a preaching tour? (Part of it would be is that He had to be tested, as any would be to see if He would be true to God’s ways. 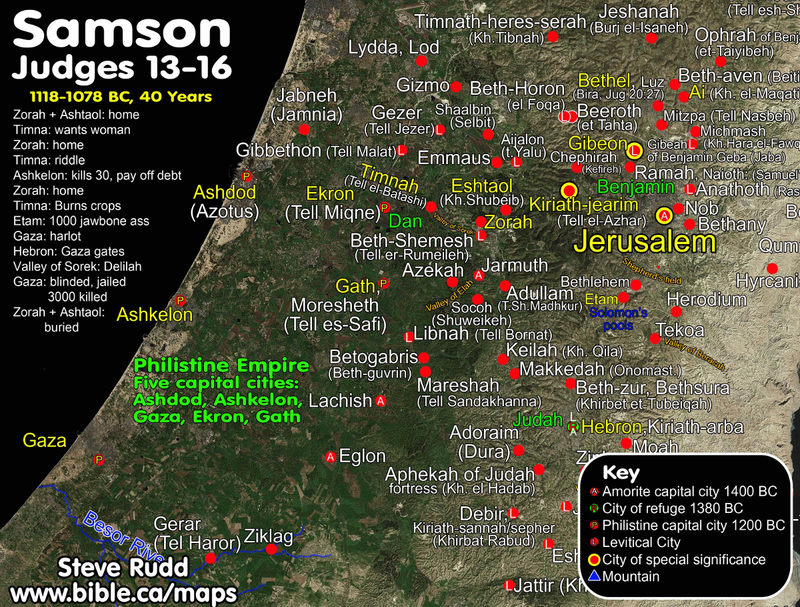 Compare Genesis 3:6-7, 1 Samuel 13, 1 Samuel 15, etc. These were tested and proved untrue, unloyal, and disobedient. The Lord Jesus was true, loyal, and obedient). Does the devil tempt everyone? What does the phrase “...afterward He was hungry” imply? What does the Lord Jesus’s answer tell us about His character? How can we apply this to our own life? How can we live by every word that God speaks? Is making and eating bread a sin? Why would it be so here? Why did the devil take the Lord Jesus to the highest point of the Temple? Couldn’t the devil have done the same thing in the wilderness? How can we apply this to our lives? Why does the devil quote Scripture? What is the devil’s method of Bible interpretation? What does Jesus’s answer reveal about His character? What does the words “...the Lord your God” tells us about Jesus? Why does the devil take Jesus to an exceedingly high mountain? Is this a genuine offer by the devil? Couldn’t the Lord Jesus simply bowed to the devil for a moment? What two things are listed in Matthew 4:10 that are required for all? How do we worship and serve God? Does this contradict verses that tell us to obey government? Where the the devil go? How did the angels minister to the Lord Jesus? B7 Why do we give in to temptations? B8 Does the Lord Jesus understand temptation? Yes, see Hebrews 2:18. B9 Is being tempted the same as committing a sin? Explain. B10 Why are we tempted? How does this lead to sin? Can’t we just play with fire? See James 1:12-16. B11 How did the Lord Jesus prepare Himself to battle temptation? Can we do the same? (We need to know what sin is, what God wants and does not want, what God believes and teaches (doctrine). What is the best way to obtain this knowledge? B12 Is sin an addiction? B13 Does impatience play a role in temptation? How does loving the world and the things of this world affect us? What are the three classes of what is in the world? Was the Lord Jesus tempted with these three things? How did the Lord Jesus overcome these? What are the qualifications of the Lord Jesus that can/will help us? How can following these things help us fight temptation? How can we avoid and recognize false teachers and false teaching? What happens to the way of truth when false teachers and teaching are listened to and heeded? Regarding 2 Peter 2:3, how can these false teachers exploit us? B17 Read 1 Peter 5:8, how can we be on the alert? How does entering the silence prevent being alert? (Most of the techniques are a form of self-hypnosis. They seek meeting God in the silence and then hearing His message). We have the Scriptures reveal what is the truth. We do not need anything else. We cannot manipulate God to have our prayers answered. God wants us alert. How would anyone know if this god of the silence is the God of the Bible? B18 How does Hebrews 13:5-6 help us in temptation? B19 How does the story of Joseph (Genesis 39:6-10) help us in temptation? B20 How does Psalm 119:11 help us? How did Jesus use Scripture in resisting temptation? B21 Does committing one sin doom us to hell? Explain. See 1 John 3:8 (He who keeps doing sin is of the devil, because the devil has been sinning from the beginning. The Son of God was manifested for this purpose: to undo the devil's works. 1John 3:8). B22 How does 1 Corinthians 10:13 relate? (There has no temptation taken you but such as is common to man: but God is faithful, who will not allow you to be tempted above that you are able; but will with the temptation also make a way to escape, that you may be able to bear it. 1Corinthians 10:13).